Recent studies show that women are experiencing menopause at earlier ages than expected. By the mid-40s, most women are depleted of normal levels of estrogen and have lost nearly all their progesterone and more than half of their testosterone. The average woman can expect her periods to stop when she is just 46. Here is an interesting article recently published by the NY Times that all women should read. 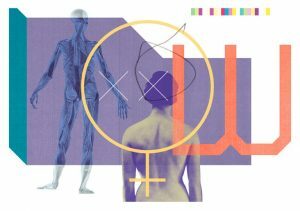 It supports our belief that restoring a women’s hormone levels to those of earlier years are associated with optimum brain function, emotional and physical well-being, cardiovascular and bone health, breast and prostate health, cell growth regulation, beneficial blood sugar levels, better sexual function and satisfaction, and more. Properly restoring testosterone and estrogen (specifically estradiol) to the levels of younger years replenishes your body and gives it what it needs. Hundreds of body functions depend on the presence of these key hormones in order to work properly. This is true whether you’re male or female, 19 or 91. Your need for hormonal balance never goes away. Researchers in the Netherlands pooled data from 32 studies of premature menopause and early-onset menopause that included more than 310,000 women. Compared with women who reached menopause after 45, those who reached menopause earlier had a 50 percent increased risk of coronary heart disease and a 23 percent increased risk of stroke. They had no increased risk of stroke mortality, but did have a 19 percent increased risk for death from cardiovascular disease and a 12 percent increased risk for overall mortality. The study, online in JAMA Cardiology, also found that compared with women who were younger than 50 at menopause, those who experienced menopause at 50 to 54 had a 13 percent lower risk of fatal cardiovascular disease, but no difference in risk of stroke. The reason early menopause is associated with more health risks is not clear, but earlier loss of ovarian function may cause hormonal changes that lead to inflammation and vascular damage.